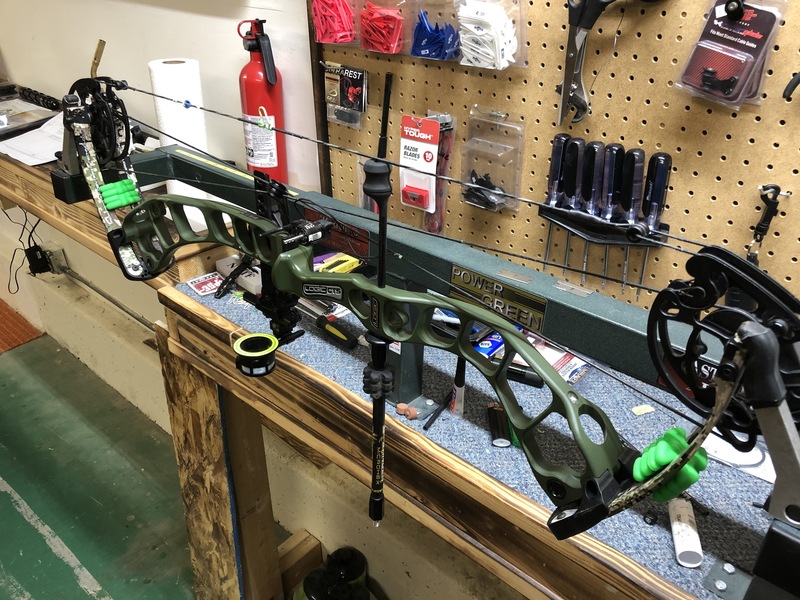 According to Merriam-Webster, accuracy is defined as “being free from mistake or error.” Prime Archery has worked hard to ensure its products meet this definition since the company’s inception in 2010. Even in the beginning, the Prime team didn’t want to build just another bow — it wanted to build the right bow. And just what does that look like? It would have a design in which each piece complements the rest of the bow. When all pieces perform in perfect harmony, the design is free from mistake or error. Over the past 9 years, Prime has been perfecting its system. Patented Parallel Cam Technology eliminates accuracy-robbing cam lean. Centergy Technology provides a center-balanced riser that helps shooters hold on-target better. Short split limbs attach to wide limb pockets. And Compression Axle Technology enhances an already solid platform. I could go on. For 2019, Prime continues its pursuit of perfect accuracy with its Logic CT5. A 35-inch axle-to-axle model, the CT5 boasts a brace height of 6 inches. Top-end speed is 340 fps, weight without attached accessories is 4.5 pounds, draw-weight options are many (40, 50, 60, 65, 70, and 80 pounds), and draw lengths range between 24.5 and 30 inches. The bow comes in a number of color options. Prime also offers the bow in CT3 and CT9 models. 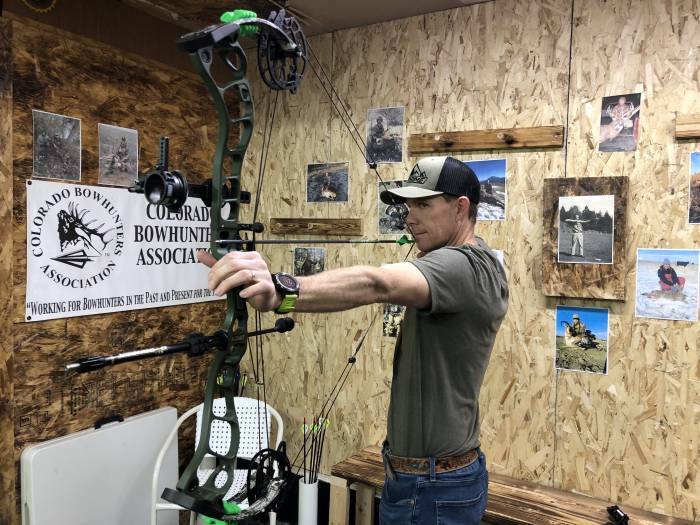 These two bows offer the same Prime technologies but have different fighting weights, axle-to-axle measurements, brace heights, and speed ratings. That was my first impression of the Logic CT5. 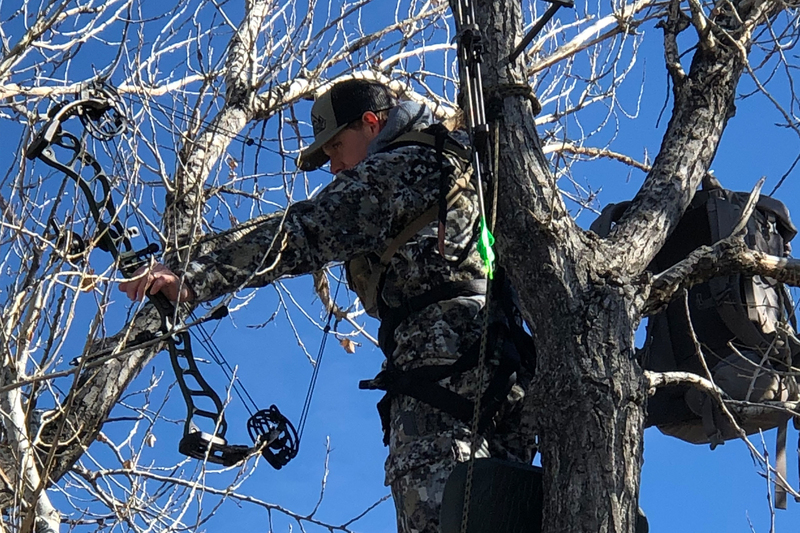 The Ghost Green riser melted into the Subalpine limbs. The riser is long, the grip is narrow, and the limbs are short. The riser’s top and bottom sport the Swerve. This design synchronizes riser movement to the top and bottom halves of the bow to thwart horizontal shooting issues. And the TRM Parallel Cams are back. Why wouldn’t they be? The design has proven flawless. Other features that immediately caught my eye were the wide limb pockets, the return of the Sherpa Mounting System (more on this later), and the Flexis AR adjustable flexing roller guard. Two LimbSaver Split Limb Dampeners reside between the bow’s limbs, and Prime has added a string weight. The bow arrived set at my exact specifications: 70.1 pounds and 29 inches of draw length. I didn’t change a thing. The CT5 was fitted with a pair of limb stops. Cable stops come as an added accessory for those who want to make the swap. The change is easy. As I’ve mentioned, Prime is all about accuracy. The adjustable cable/limb stop system is just another example of this. My bow arrived with limb stops installed. Cable stops come in a plastic baggie and attached to the grip with a zip tie. I tested the bow with the limb and cable stops. Setup with the Logic CT5 is simple and straightforward. Limb bolts were chatter-free and turned with ease. The bow pressed like a dream, and installation of my peep and drop-away cord proceeded without issue. All accessories attached easily, and though it doesn’t happen often, my first shot through paper was perfect. No rest or cable tuning was necessary. I did notice a bit of hand buzz at the shot, but it was minor. The CT5’s TRM Parallel Cams are silky, and though I’m not usually a fan of limb stops, I am when it comes to those on the Logic CT5. I shoot a hinge (back-tension) release, which is a big reason why I typically prefer the broader valley cable stops provide. This limb-stop system felt different somehow, and I liked how it married with the bow’s overall steadiness. Draw weight builds throughout the cycle. Transition to letoff is gentle. The grip feels great. It’s flat-backed, narrow, and direct-to-riser; I love it. Part of the Centergy Technology, the grip resides in the vertical center of the bow. I was dialed in at 20 yards in no time and slapping bare shafts together. I love a longer axle-to-axle bow. Why? Balance. This bow delivers it in spades. 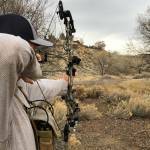 It promotes good form, and my consistent downrange arrow placement was a shining example of this. Part of that comes from the riser, which is constructed from rugged 82X aluminum, and part of that comes from the way the grip and the Swerve work in concert to promote consistent accuracy. On the range, my 421-grain Easton 5mm Axis shafts consistently found the 12-ring on distant 3D targets. Nine of my 10 offhand, three-arrow, 80-yard groups were sub-3-inch. Out of a Hooter Shooter, accuracy was off the charts. I tried for a week to get a wind-free day, but my little corner of southeast Colorado didn’t provide it. The Hooter Shooter shot Axis and FMJ arrows at distances from 60 to 80 yards in a stiff but steady 13mph wind. The wind hit the shafts on their right side but made little impact on accuracy. The Logic CT5 sliced vanes and busted nocks. With the CT5 in hand, I entered a local 3D indoor tournament. The maximum distance was 40 yards, but with micro-diameter 5mm shafts, I shot a 310 out of 300. Five 12-ring hits upped my score. 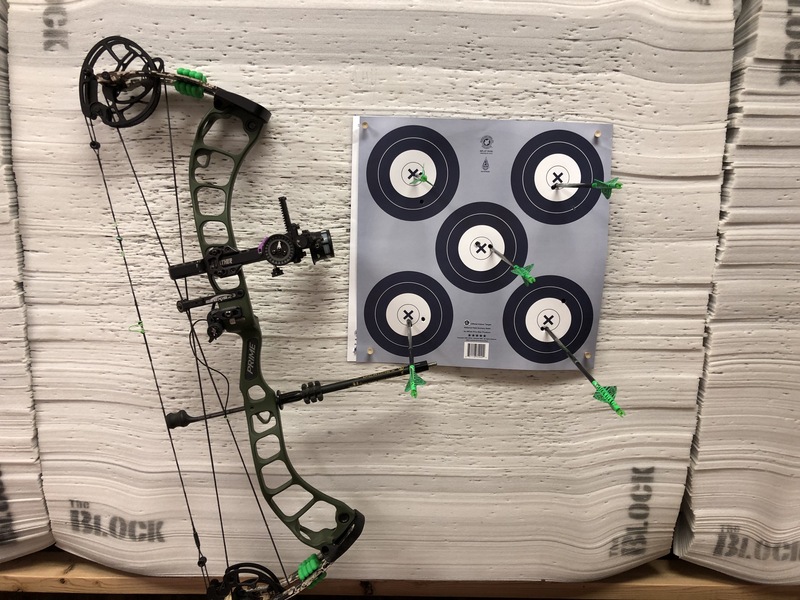 Two days later, I shot 60 indoor arrows at a five-spot target. The result was a perfect 300 with 34 X’s — my best score to date. I’m not a speed freak. I mean, I’ll take it, but not if it hurts my accuracy or makes shooting less fun. Set at a draw weight of 70.1 pounds and a draw length of 29 inches, the Logic CT5 powered my 421-grain 5mm Axis at a respectable 287 fps. That combination of speed and weight cooked up 76.99 foot-pounds of kinetic energy. That’s more than enough oomph to drive a shaft through a bull moose. I started tinkering with my Logic CT5 in December. At the time, the only tag remaining in my pocket was a Sooner State turkey tag. I’d been getting some emails asking if the CT5’s longer axle-to-axle rating would hinder its in-the-stand maneuverability. 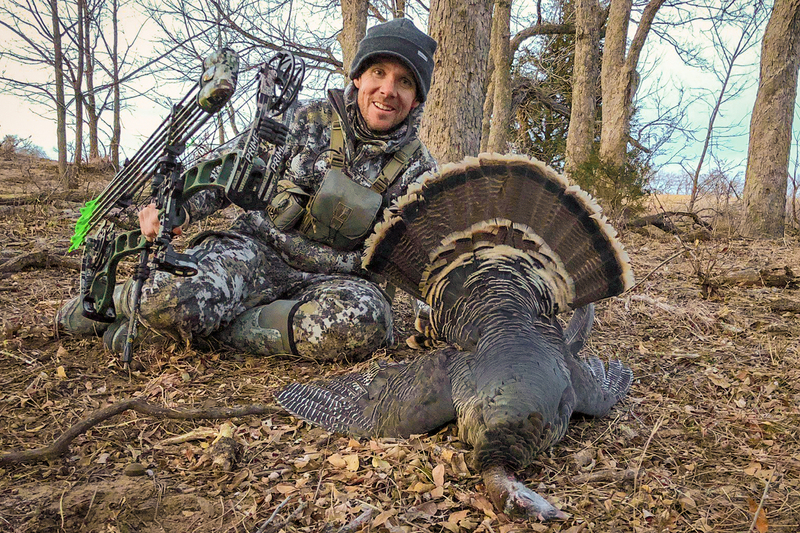 A 5-hour drive and 10 in-the-tree hours later, I was standing over my December prize — a plump, bearded fall hen. I purposefully hunted from a tree. I hung my set in the most gnarled locust I could find. Turkeys have incredible eyesight, and the tree’s tangle of limbs helped hide me. I also wanted to debunk the myth that long axle-to-axle bows don’t function well from a treestand. Mission accomplished. A turkey’s vitals are small, and, despite the fact that I had to weave the shot between a pair of limbs, my arrow found its mark at a distance of 26 yards. The Logic CT5 was designed for accuracy. It will lead to podium placement and meat for the grill. It’s a win all around. next:Subaru Viziv Adrenaline: A ‘BOLDER’ Subaru, or Just More Marketing Fluff?